Learning that you will have another child in your family is a complete blessing, and you may have already thought of what a sister or brother would teach your newborn without any scenes of rivalry or arguments taking place. Yet simple play fights, tug-of-war with toys, dining table bickering, and backseat pinching are fine since these are usual scenes that occur when having two or more kids in the family. With that, helping siblings grow up together is one of the toughest and most challenging tasks both mothers and fathers will face. The relationship of siblings is probably one of the longest and most vital relationships a person will have in their whole lives; and if this is the case, how can we, as parents, make sure that the siblings’ relationship will be a great, effective, and a positive one? 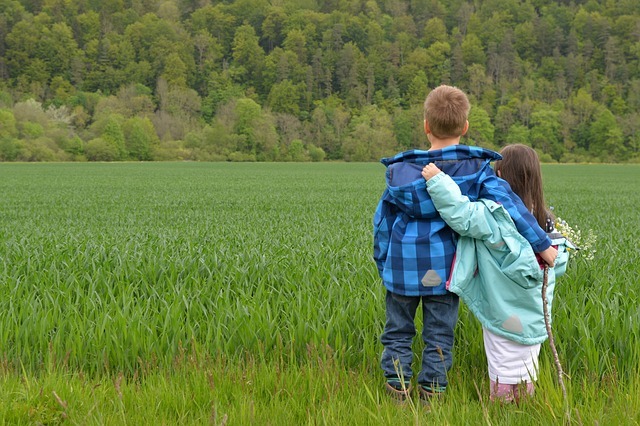 Though we can never assure that the future will be a hundred percent perfect for them, there are still some general family rules you can set to foster a firm and strong sibling bond right now. Know that all parents want their children to have fun, love, and enjoy each other’s company, so with that, here are some of the best ways to build a good relationship between siblings to create a strong, lasting bond between them. Instead of letting them always play separately, why not find ways to lead them towards activities and games that they both can engage in as siblings. Suggest going outside to build a fort or when they would prefer playing out at night, let them take their Whistlecopter toys and let your kids enjoy each other’s company as they run around in delight watching the toy’s bright LED lights. Your children can both launch these toys at the same time and watch as the Whistlecopter toys shine and fly high in the night’s sky. Though if they really want to stay indoors, you can also have your children bake cookies or create a meal together then let them taste each other’s masterpieces. If they stay together a lot, it can sometimes promote more fights, yet when your children take a break from each other to spend time with other friends, they will appreciate each other more especially when they start doing activities together again. Also, keep in mind that when your children spend time doing their own activities they can be more competitive with their friends in different ways and explore and learn, and experiment without comparing themselves with their brothers or sisters. Remember that continuous negative parenting practices such as over-punishing and yelling can be damaging and even destructive to your children’s well-being; yet did you know that this can also bring your older kids to mimic these actions? They may bully their younger brothers or sisters which will even be more detrimental to them. This is why practicing positive methods of parenting is necessary to foster a healthy and effective parent-child connection, as well as a respectful and kind relationship between siblings. Additionally, it also builds high self-esteem for your children which lessens the chances of competition between them. Nothing makes sibling rivalry grow even more than trying to get praise from both parents; teaching your children to take internal pride in their accomplishments or abilities will prevent them from having the need and competition for your approval and praise. If you are wondering how to do this, make sure that next time your child accomplishes a certain task or activity, try your best not to instantly praise them with “good job” and instead, ask your kids how this accomplishment made them feel.